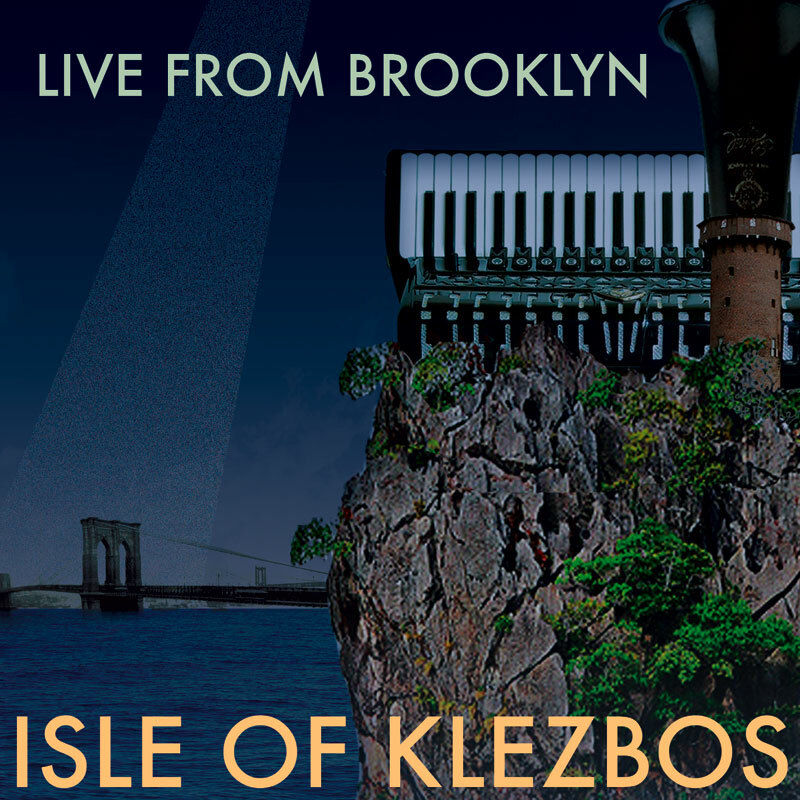 ISLE of KLEZBOS’ newest album Live from Brooklyn — recorded in concert in 2013 at Brooklyn Center for the Performing Arts, with the addition of two bonus studio numbers, and released in April 2014 — is available at iTunes, CD Baby, Bandcamp, Amazon, shops (in NYC, Museum of Jewish Heritage, Tenement Museum, Academy Records & CDs, and Downtown Music Gallery) and all band shows. And as New York Music Daily also notes: “the album comes with fascinating liner notes that trace the origins of these tunes along with how the band was able to track them down: it’s as rich in history as it is in emotion, energy and tunefulness.” Our digital download at Bandcamp includes the liner notes bundled in PDF form. Our first album, Greetings From the Isle of Klezbos is available for purchase at our Bandcamp page, Amazon.com and CD Baby, and our music is available on iTunes, as well as at actual stores including the Tenement Museum Shop at 103 Orchard Street in NYC. Sibling band Metropolitan Klezmer, founded by drummer / bandleader Eve Sicular in 1994, shares a number of musicians with Isle of Klezbos. Traveling Show, a live concert recording, is augmented with an Isle of Klezbos studio “Klezbonus” track: our Yinglish / boogaloo interpretation of the standard Comes Love. Visit Metropolitan Klezmer’s website. For album distribution in North America and worldwide visit our contact page.